As part of our comprehensive approach to planning and designing a solar installation, we perform the following services. Supply of complete system including panels, invertors, mounting structures, cables, and other electrical accessories required to install the solar system. Setting up monitoring software and control systems. Full set of operations’ manual and training to the local maintenance team. Annual maintenance contract for Operations and Maintenance of the installed system from year one onwards. We perform a comprehensive evaluation of your site to determine the most optimal placement of your system. Solar panels must face in a southerly direction with no shading. 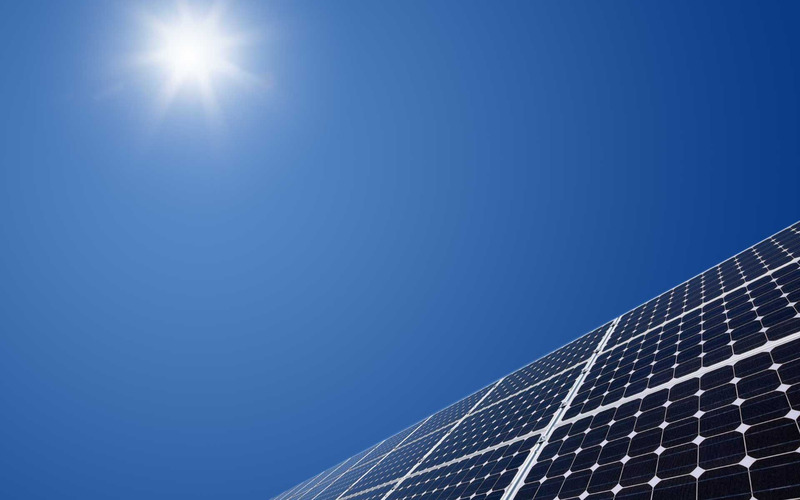 We select optimal placement for the solar panels be it rooftop, ground, or integrated into the facility. Furthermore, we recommend that the structure upon which the panels will be mounted is sound as in some cases we have noted that a detailed structure analysis is necessary. It is to your benefit to make certain the area is structurally viable as your panels will be in operation for many years. On ground analysis of your power consumptions is carried out before designing a solar system for you, moreover an analysis of the previous 12 months of your utility bills helps us to evaluate the right-sized custom-built solution. After the site evaluation, energy analysis, and financial analysis, SK Solar City deliver’s a preliminary design of solar system which fits to your needs. Once you’ve studied preliminary design and the size / scope of your project and are ready to move ahead, SK Solar City will put its project management team into action to install your project on time and within agreed budget. SK Solar City uses the highest quality products to build your solar project. We constantly keep up with industry-best practices to ensure your system harvests the sun efficiently and is as maintenance free as much as possible. Once your system is installed SK Solar City will manage the inspection process in order to verify the installation is according to agreed arrangements. We deliver all product service warranties as per mutual agreements so you can rest assured that you have a clean energy partner.